Emergencies don’t happen on a schedule. They disrupt your business, can damage your brand, and have the potential to impact your bottom line. They’re unpredictable, hitting when you least expect them—but you can plan for them. By combining a comprehensive emergency communication solution with specialized training, you can protect your people and property. You can be prepared for anything. With the Success Program, you can hit the ground running and ensure your emergency communication and response is a success. A complete solution that has your success built-in. During a crisis, it’s not enough to have the fastest, most reliable technology. To ensure success, you need a comprehensive emergency communication solution that includes training in how to effectively implement that technology. With an experienced partner, you receive the best of both. 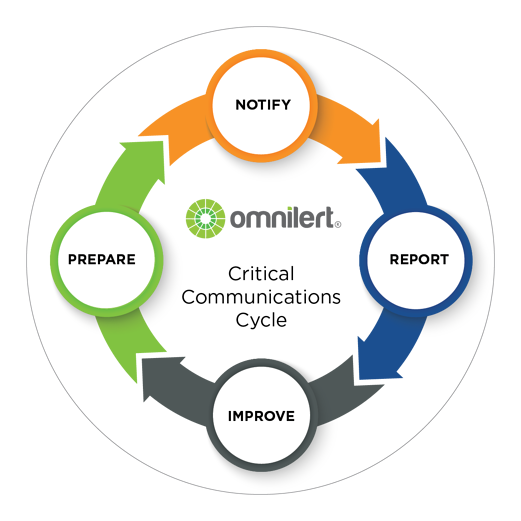 Omnilert’s Success Program provides you with the knowledge transfer, training, best practices, personalized service, and comprehensive support needed to help you and your team achieve the best possible outcome during any emergency. 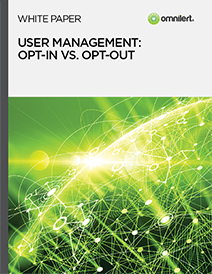 The robust training tools and methodologies provide detailed guidance on how to optimize your resources so you know exactly how to command the people, processes, and technology that compromise your response. 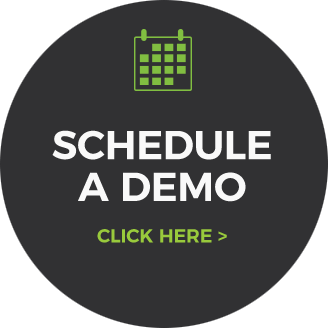 Combined with simple onboarding, continuous support, access to training resources, and the innovative Performance Success Indicators™ (PSIs), you will have a thorough understanding of what to do before, during, and after a crisis. When it comes to an emergency, the key to a successful outcome is knowledge and preparation. 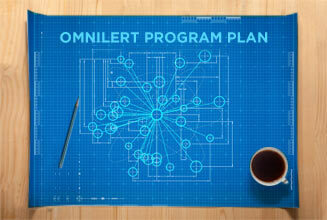 Omnilert's Crisis Communications Cycle is the basis for our Success Program. When seconds can save lives, you benefit from having the most proven technology at your fingertips. With Omnilert, you have the only purpose-built emergency notification system designed around your need for speed and reliability. When the unexpected happens and every second counts, you need to ensure alerts are received by as many members of your community as possible. In order to maximize your reach, every avenue of communication needs to be pursued: text alerts, emails, digital signage, loudspeakers, and more. 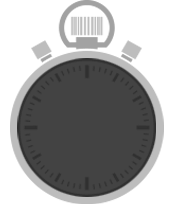 The ability to send an emergency notification to not just many endpoints (as multimodal would suggest), but to every endpoint, instantaneously and simultaneously, is an advantage we call Omnimodal. 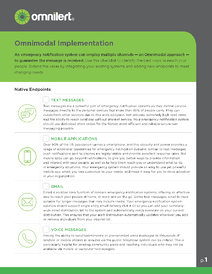 With Scenarios, you can automate any series of actions to initiate your Omnimodal emergency communication and response. It allows you to activate and assemble your team within seconds—while providing them with documented procedures to follow. Scenarios allows you to capture your team’s response plan's unique actions in a sequence of predefined actions to be initiated in one step; in a single click. 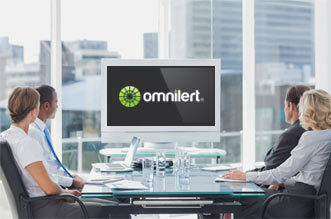 Omnilert can easily connect to other autonomously monitored systems in order to optimize your emergency communication. Whether it be integrating notifications from infrastructure intrusions, severe weather, or other safety-related conditions, Omnilert can tie it all together for you by automatically triggering a predefined series of actions. Automation eliminates the additional time required to take action during a critical incident, which reduces errors and vulnerability. Implementation couldn’t be more seamless—because we’re here to help, from start to finish. It starts with a collaborative set of sessions designed to outline objectives for your team and ours. Work one-on-one with an Omnilert expert who will assist with the implementation and help you build a plan for launching within your organization. During the planning phase, you’ll be assigned a dedicated Account Manager who will serve as a single point of contact and will be accountable for all of your needs. Together, you’ll craft a comprehensive “blueprint” of your specific program needs, from technology considerations to training to implementation. Dedicated Account Managers—in tandem with Omnilert Technical Support—will act as your Integration Team and work closely with you to set up, customize, and deploy your solution from initial set-up through training and testing. The Technical Support team is accessible to you 24x7x365. Review use cases to enhance the knowledge base, extend usage, and improve future performance for all customers. Identify policy changes that can improve actions or accelerate response times across any scenario. Review corporate objectives to ensure that your current progress is in alignment with your primary goals. Implement adjustments to your custom solution to reflect proven results and knowledge. Individual stakeholder performance objectives, their required contributions, and their role in your organization's success. 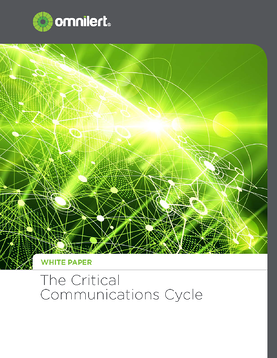 Defining use-cases and standardizing critical communications into a clear and well-defined process. Implementing appropriate capabilities to support your organization according to structure and preferred messaging types. When disaster strikes, every second counts. And when it comes to speed and response, Omnilert is setting new industry benchmarks for performance, helping you rapidly activate your team and initiate your emergency response in order to save lives, secure property, and maintain business continuity. Review these resources and learn more about emergency communication solutions, management, and preparation.